Needle Felting is a fun and easy hand work technique used to create three dimensional animals and other items. 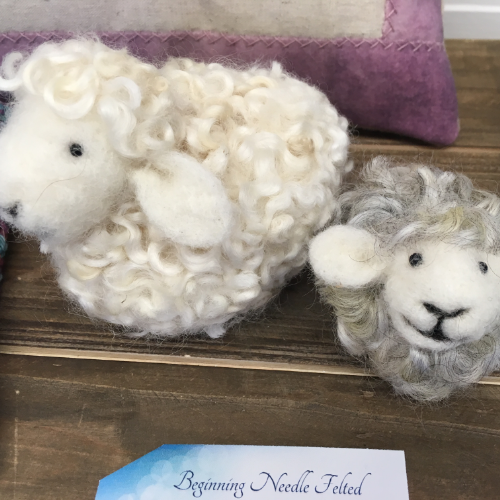 Class Description: Have you wanted to learn the technique of needle felting?Come learn to needle felt your own fun and fuzzy wooly sheep. No previous wool felting, sewing, knitting or crocheting experience/skills are necessary to create this sweet little sheep. Come learn wool needle felting with Cecelia and create your own wooly flock! Beginners welcome, ages 12 and up.